Fans of the Parker heist novels of Richard Stark (Donald Westlake) will enjoy this old-west short story by Utah author Ben Boulden. The character of Merrick is analogous to Stark's Parker - a man on a thievery crew planning and executing an elaborate heist. In this case, a mobile payroll theft. Of course, things go sideways and gun-play action ensues. The old-west universe the author creates is as fascinating as the propulsive plot. Crime is regulated, overseen, and controlled by a religious sect who exercises a modicum of control over the turf. It's an old-west we haven't seen before in fiction and it re-writes the rules in the same way the John Wick movies did with contemporary organized crime. This reasonably short story hopefully will be followed by novel-length heist tales starring Merrick. 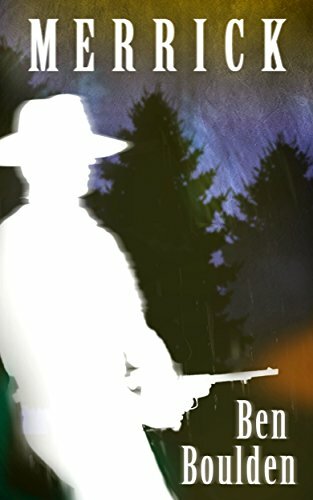 The Parker novels were great, and this old-west pastiche is a welcome addition to the anti-hero sub-genre.